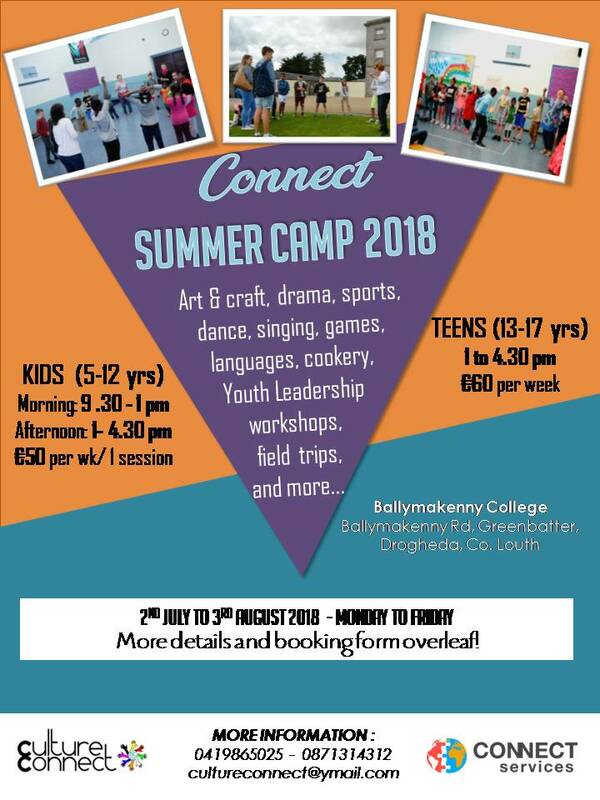 Summer Camp 2018 – Coming soon! Culture Connect is a non-profit organisation, a platform for cultural diversity, friendship networks and information exchange. It was established in March, 2010 with the aim of harnessing the benefits of diversity. The target group is the entire community, i.e. both the indigenous Irish community and immigrants. 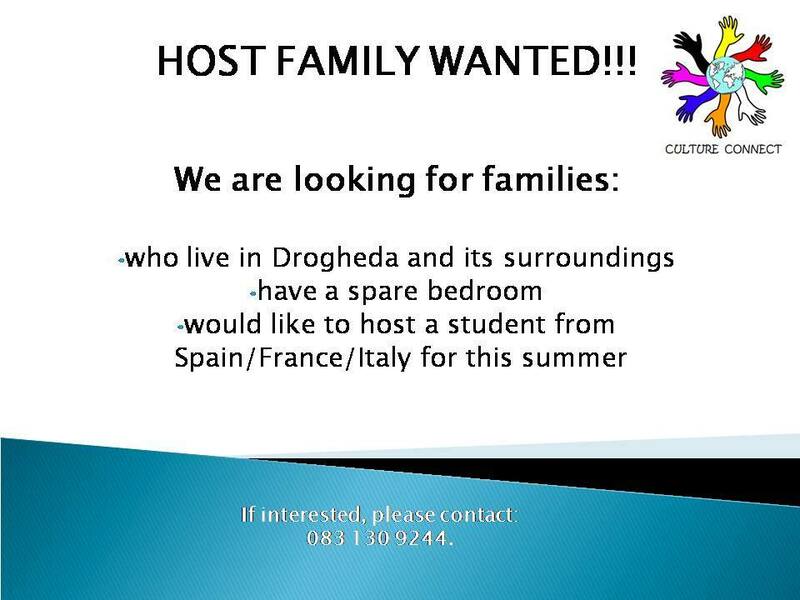 To promote the sharing of cultures between Irish citizens and migrants. To educate people to recognize the strength in cultural diversity and encourage communities to respect and accept differences. To provide a platform to share and learn about different cultures, their history, music, idiosyncrasies and how to respect and accept our differences. 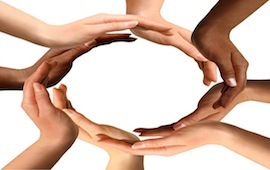 To fight racism and discrimination and to make the community a friendlier and more inclusive place. Promote integration and reduce isolation. Encourage people to break the policy of avoidance and build relationships outside their comfort zone. Support the community to minimise the various challenges with migrants. 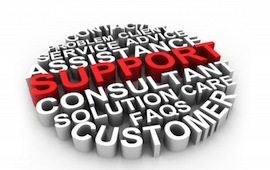 Advise cultures to reduce the insistence on a particular way of doing things. 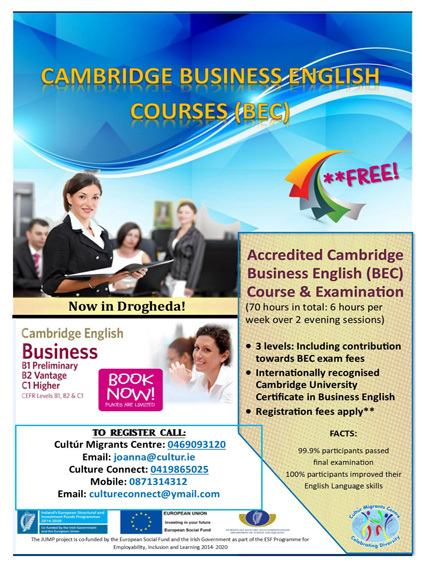 Now enrolling for accredited Cambridge Business English. Classes will be held in Culture Connect Centre. If interested, please contact our office for more information. May 8,2018 Comments Off on Summer Camp 2018 – Coming soon! Camp runs in two sessions: Morning (9:30am-1pm) and afternoon (1-4:30pm) for children. You may choose one or both sessions. 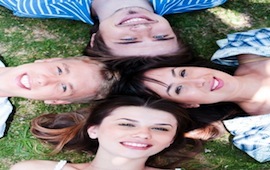 Teenagers camp takes place in the afternoon, 1-4:30pm only. Participants are divided into groups of 5-8, 9-12 and 13-17yrs. Each day will feature a different activity delivered through game playing, singing and physical activity that develop confidence, friendship and fun. 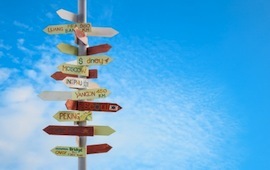 It will ensure that participants summer holidays will turn into great and unforgettable experience. 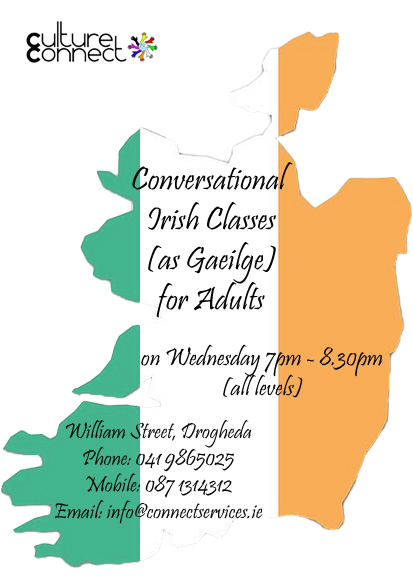 Jan 11,2018 Comments Off on French, Spanish and Irish classes, join us ! 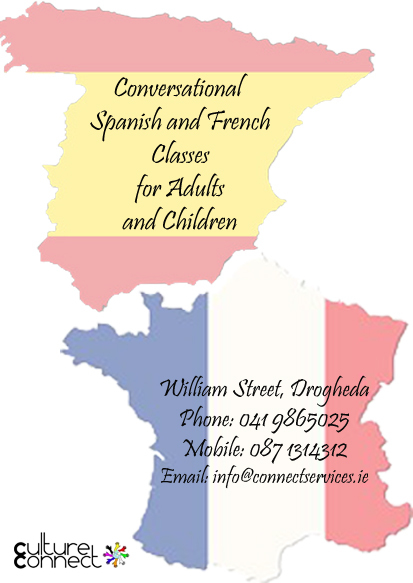 French, Spanish and Irish classes, join us !